Children in the pre-school years experience a tremendous number of developmental changes. It is essential that parents of pre-schoolers adjust parenting styles to accommodate their children’s new development while keeping in mind that preschoolers continue to require guidance and support. experience. If the child reports parental behavior that causes concern, discuss the matter with the other parent. In many instances, the child may have misunderstood what happened and talking to the other parent may resolve the issue. Pre-schoolers tend to be impulsive and very concrete in their thinking. Nightmares are normal at this age as children become able to imagine frightening things, but have difficulty coping with their fears. 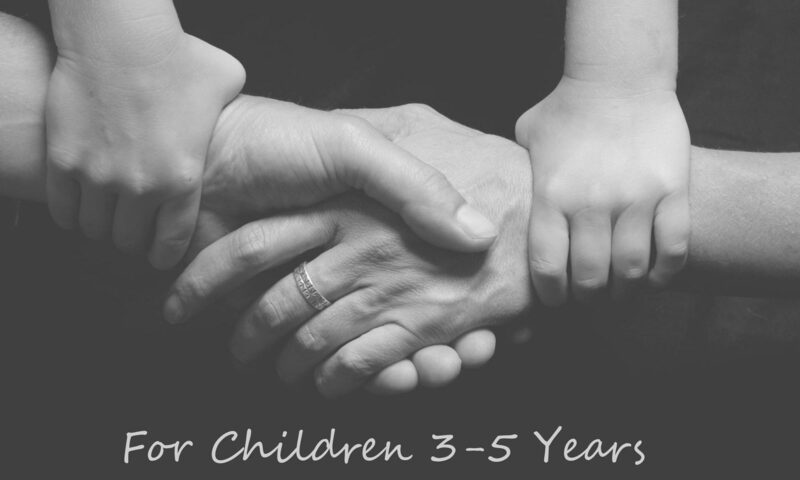 Three to five-year-olds are attached to their regular caregivers, and separation from them may cause them to be fearful, uncomfortable or anxious. They may have trouble moving between their parents’ homes. They may become upset, yet once there become settled and happy in the other parent’s home. Children will do better if each parent can display a positive attitude during transitions and give some notice of any anticipated changes. Children of this age can benefit from structured time with children of their age, away from their parents. Children are beginning to understand days and weeks, but not time. Pre-schoolers continue to need consistency and predictability. They may be changing their naptime or giving up naps altogether, and parents must communicate about and take into account their child’s changing sleep schedule. The amount of childcare each of the parents provided prior to separation. The level of conflict between parents. Familiarity with the other parent’s home. If one parent was minimally involved in the child’s daily routine, a few days each week including a full weekend day would allow the relationship and caregiving skills to develop. As the child becomes more comfortable moving between two homes, additional time and one or two overnights may be added. If both parents are working outside the home at the time of separation and the child is in daycare, parents might consider splitting each weekend, so the child has one full stay-at-home day and overnight with each parent every week, as well as some weekday contact. While this may not be the best solution for the parents, it is helpful to many young children in the early stages of separation. If one parent is primarily at home with the child, the parenting plan may offer the other parent more weekend time, in addition to some weekday contact. Friday or Sunday night or both. When both parents have been actively involved in the child’s daily routine, depending on the child’s temperament and adjustment, ease of transitions and the effectiveness of parental communication, reasonably equal time may be considered.